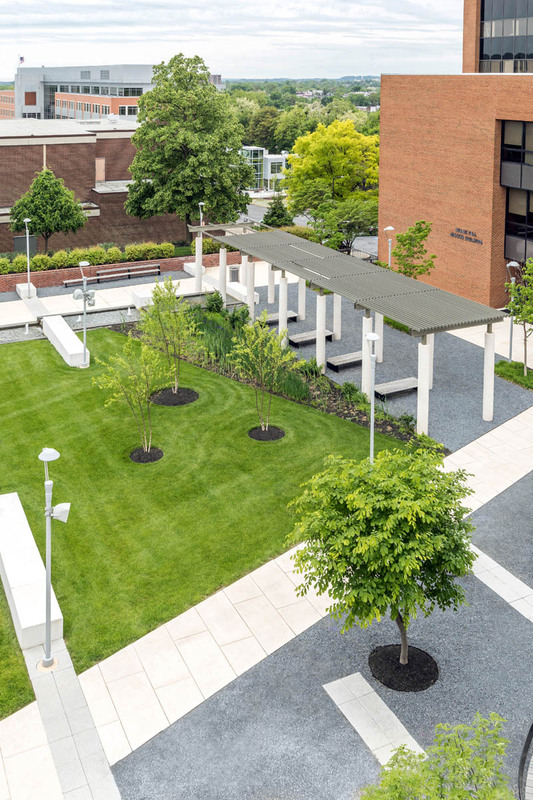 Coppin State University’s Campus Square is a green magnet at the heart of the campus. 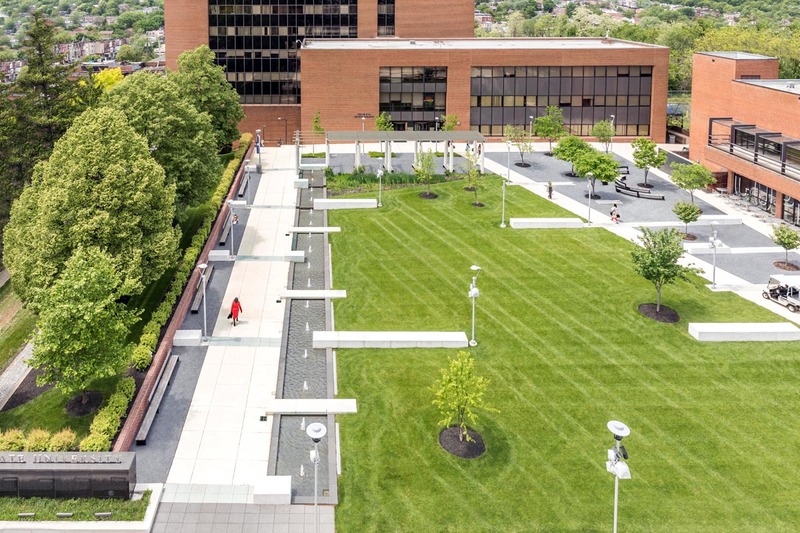 A variety of landscape elements located around a central lawn create multiple spaces for numerous uses. Events, classes and casual recreation occur simultaneously in this un-programmed landscape. 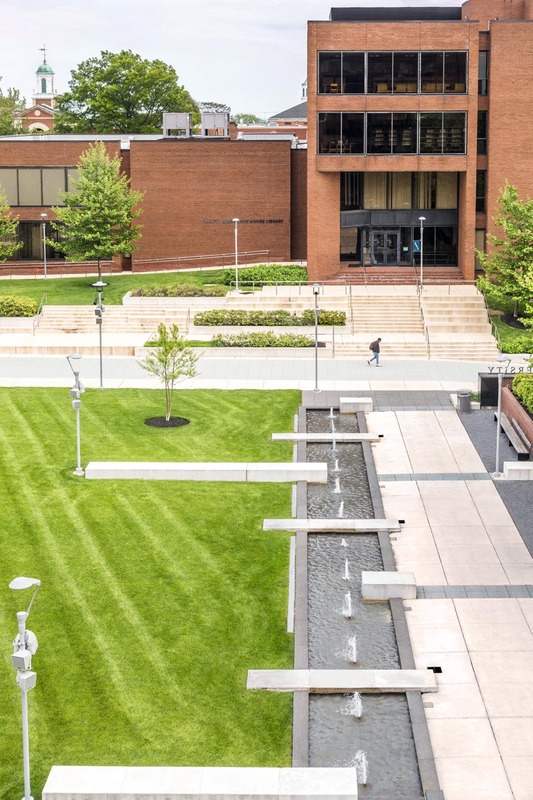 Coppin State University is a 52 acre campus set in the heart of Baltimore City. 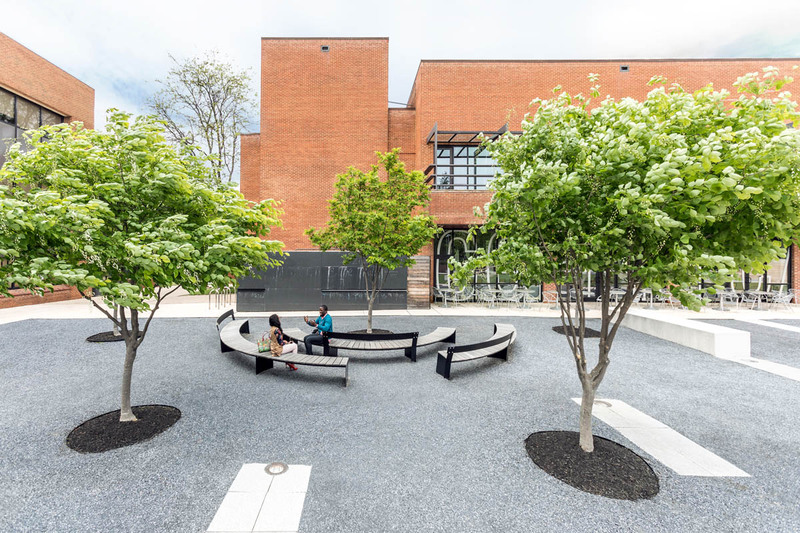 Campus Square is 1.3 acres and sits at the center of the connecting spine that runs from Baker Street on one end to Gwynn Falls Parkway on the other. It is surrounded by its major student life and academic buildings. Previously it was largely paved with a number of trees at its edge. 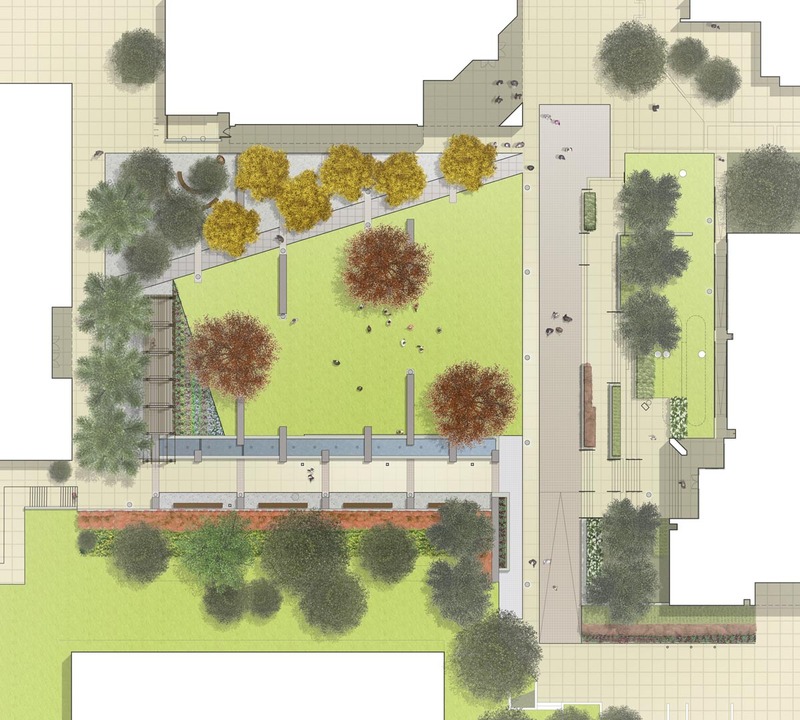 The main objective of the Campus Square redesign was to provide a central gathering space which has a variety of uses. Zones were established which loosely provide a framework for these uses. These include: the Lawn, the Grove, the Walk, The Wrapper, the Arbor, the Pool, the Slice, the Hillside and the Stair. The Wrapper, the Slice and the Walk connect the site with the campus and provide pedestrian access through the site. 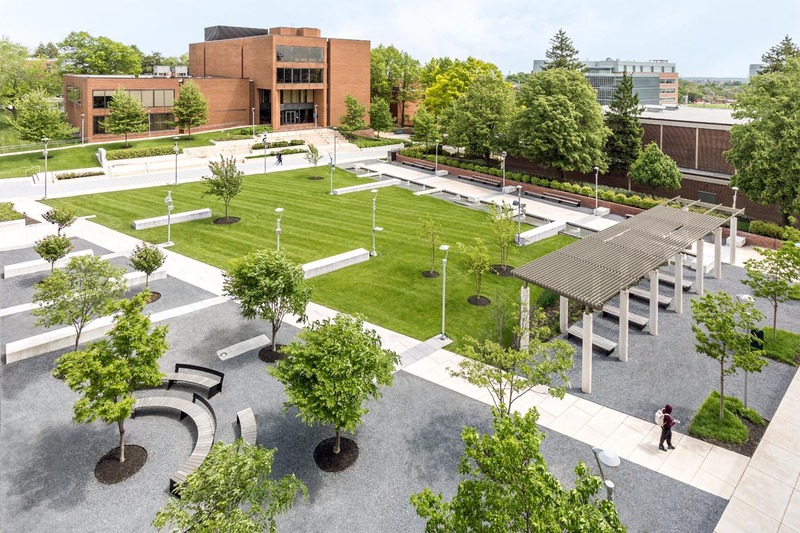 The Grove and the Lawn provide shaded and sunny seating areas respectively. The Grove is intended as an outdoor classroom. The Lawn looks up at the Stair which has a stage at its base for performances and movies. The Slice and the Pool are linear insertions into the central space. The strong diagonal Slice cuts through the Lawn and is a counterpoint to the orthogonal design of the Square. Seatwalls skip across the space from the Hillside through to the Grove. London Plane trees provide a strong presence along the Walk while Black Gum are sprinkled on the Lawn. Yellowwoods blend with existing trees to form the Grove. 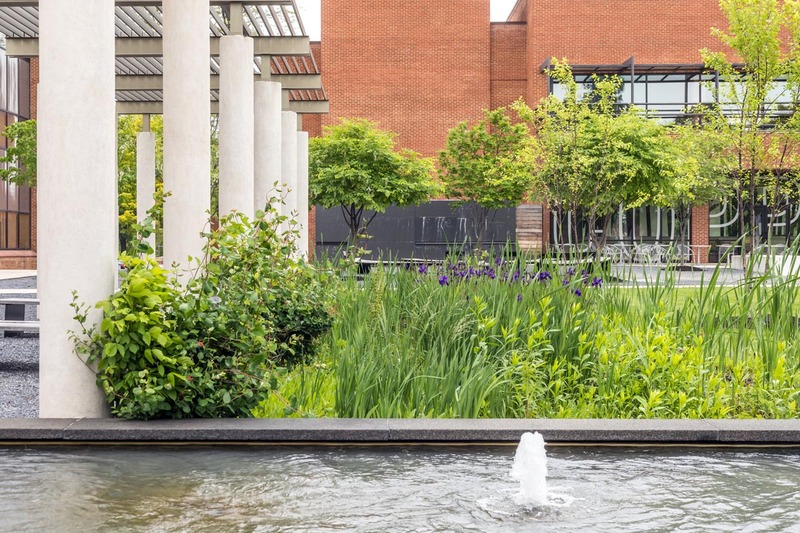 Bands of flowering shrubs provide a backdrop on the Stair and Hillside while the Arbor is planted with a mix of perennials and vines. 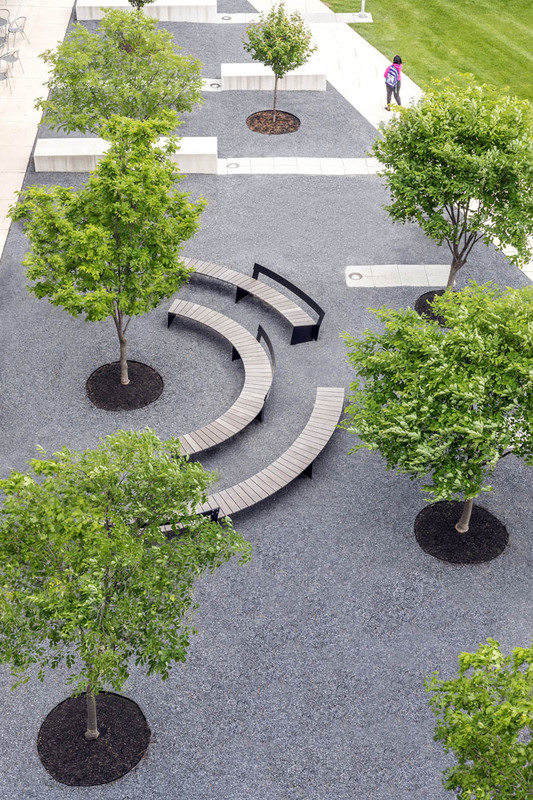 This work was performed by Cho Benn Holback with Core Studio Design as the landscape design consultant.